It’s no secret that next-generation digital technologies are ushering in a new era in the financial services industry. Over the coming decade, robotic process automation (RPA) and artificial intelligence (AI), the Internet of Things (IoT) and Blockchain will transform the accuracy and speed of many tasks across banking, insurance and capital markets. These robust technologies promise improved efficiencies, a major reduction in operating costs and the potential for new profit ventures. Yet, Canada’s financial industry is woefully behind in adopting RPA and AI innovations in comparison to other countries, despite the fact that the majority of AI technologies have been developed right here in Canada. Nevertheless, there is no better time than now for financial services firms to get in the game in order to position themselves for success. Although RPA and AI technologies have been around for decades, it’s only recently that they’ve been deployed across the global financial industry. At this juncture, I can say that Canada is now finally taking the AI topic seriously. Here’s what we’ve learned: to make AI successful for financial services companies, it’s not a matter of just “dropping in technology.” It’s understanding that in order to leverage these innovations, firms must provide the necessary infrastructure to support both technology and people. Essentially, it’s no longer a question of whether or not companies should adopt the machine-human workplace of the future, but rather, what they need to start doing today to make it happen. Financial services companies worldwide are already starting to deploy AI to reduce costs and improve services. An easily recognizable example of this is IPSoft’s virtual agent Amelia. Amelia is a language processing system able to read and listen to more than 20 languages, address complex inquiries and improve its customer interactions with its built-in machine learning algorithms. Amelia also uses sentiment analysis to detect a customer’s emotional state. In one IPSoft’s Autonomic IT Management example, Scandanavian IT service provider, Cygate’s operational efficiencies jumped 118%, while increasing revenues by 56% over a two-year period. 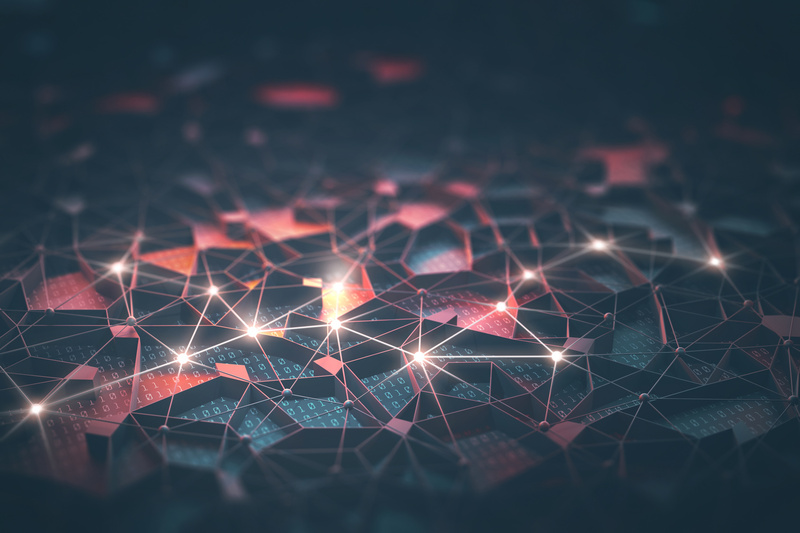 Beyond basic RPA, AI will also enable the automation of more complex tasks as natural language processing and deep-learning technologies improve. This has already started to take place in the insurance industry, where one carrier now uses a natural language processor to “read” and determine payouts for patient treatment, significantly reducing the time associated with the task. In fact, RPA can indeed deliver significant benefits to insurers, especially since RPA solutions can be implemented without complex system integrations. RPA essentially becomes part of the organization’s infrastructure, sitting atop the existing systems, which makes it a cost-effective solution. Users do not need to understand software development to configure what’s known as ”bots” that capture all the details of the process, storing it for potential later auditing and use in analytics. Individual process candidates are assessed, scored and prioritized for automation primarily on their own merits. Groups of processes that are executed by discrete functional teams are holistically evaluated. In the banking sector, one global bank is using AI to automate its handling of unmatched invoices. When performed manually this task, at times, took several hours to complete and required the use of several ERP systems, multiple validations and extensive employee training. In addition, J.P. Morgan has implemented an AI program called COIN, which has dramatically sped up the loan-servicing process—a process that previously took legal advisors thousands of hours to complete. AI systems are very flexible and scalable. They can be reassigned to new tasks or upgraded to provide new services. This adaptability allows companies to quickly shift or pivot to new circumstances without the extra time and resources needed to accomplish these tasks. It’s key to remember that while speed and efficiency are the benchmarks of these technologies, the main benefit is the ability to remove the potential for human error. Companies across the financial services industry are being forced to adapt to new business models as technology challenges convention. The rise of self-driving cars, for example, will change how insurers provide automotive insurance coverage as the car ownership model could be very different from what it is today. In addition, by using the Internet of Things (IoT), insurers will be able to record and share consumers’ health-related habits via wearable, connected devices, creating more personalized premium packages. Personal financial managers, turbo-charged with AI, will change the advice industry. While still not yet widely adopted, Blockchain (a decentralized ledger that will facilitate faster, safer and more transparent transactions for customers) could see the demise of intermediaries involved in banking and capital markets transactions, requiring these financial firms to make significant changes to their business models to stay competitive. How can Canadian companies make RPA and AI technologies sustainable? Financial services firms must put the right governance and management infrastructure in place. Technology must be managed in a way that ensures consistency, deployment and sustainability, without causing replication of functions and activities across an organization, which only increases costs. In conjunction with technologies, companies and their people will need to evolve to innovate and succeed in the new digital era. Accenture is helping drive AI innovations and position Canada to become a global leader in this area. Read about our official founding sponsorship of the Vector Institute for Artificial Intelligence in Toronto. In my next post, I will take a look at how the financial services workforce is changing with Intelligent Automation. For a more in-depth look at the key technology drivers changing the Canadian financial landscape, read: Three technologies that are changing the financial services game and how the workforce must adapt to take advantage of these innovations. To find out more on RPA and the insurance industry, register to download: Automation Technology Series: Part 2 Intelligent Automation: Driving Efficiency and Growth in Insurance.